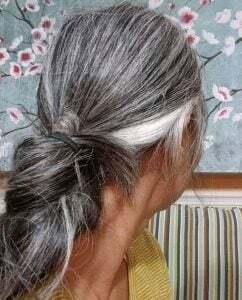 When did you first notice your gray hair and how did you feel about it? I first noticed it at around 20, 21 years old. There were 2 to 4 white strands hidden away around the top of each ear. I was embarrassed because I didn’t want people to know I had gray hair. I thought there was something wrong with me, like all of a sudden I was turning old, because people associated gray hair with old age. How did your friends or family react? Initially, my gray hair wasn’t visible, being on the inside. So friends and family probably never noticed it unless it was tucked behind the ear or got pulled up and back. It was “out of sight, out of mind” kind of hair. If they were bothered by it, it wasn’t mentioned to me. I was glad my hair was never a topic of conversation or perceived as a negative thing. Fast forward to today: My husband prefers my hair dyed. He thinks gray hair is “old hair”. I would get frustrated trying to convince him otherwise. So we agree to disagree. But he has been supportive of my gray hair journey despite his preference. I dyed on and off at home for about 20 years. I first dyed it shortly after discovering those white strands. At some point in college, I was OK with having gray hair. By the end of college, I had at least 2 visible white strands on top of my head. If I dyed the hair, it was mostly to cover up the dryness and split ends. (That was the one nice thing I observed about hair dye, at least on my hair). 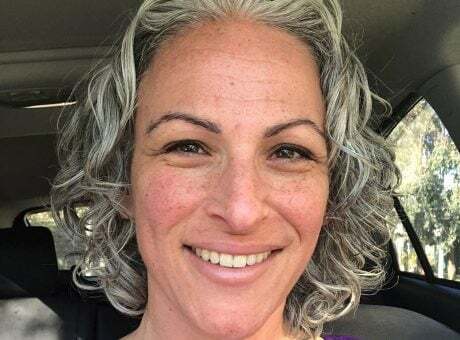 Although not all were directed at me, they still hurt enough that I caved and dyed my hair solely to cover up my grays, either to prove them wrong or to prove them right about gray hair. Around October/November of 2014, I looked in the mirror and couldn’t stand seeing roots of black and white and the rest of my hair dirty blonde, light brown, and whatever else. I only wanted two colors on my head, even if it meant one of the colors was not desirable by society. 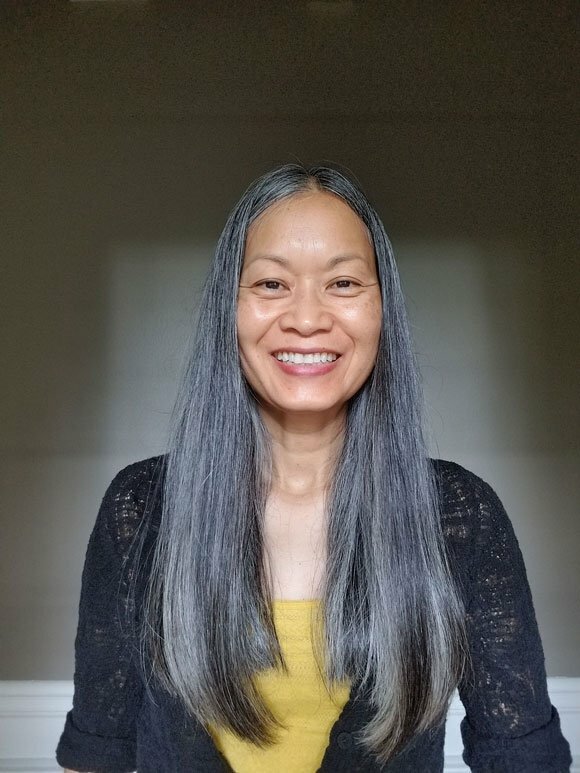 It was as if my inner voice spoke so clearly this time that I didn’t need to prove anything about gray hair to anybody anymore. It was time I did this for me! 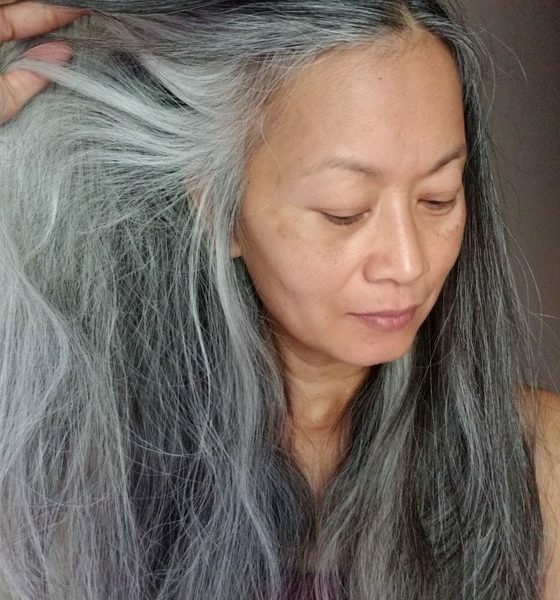 So what if people think gray hair is this and that? Once I made up my mind to stop dyeing, I stopped cold turkey. 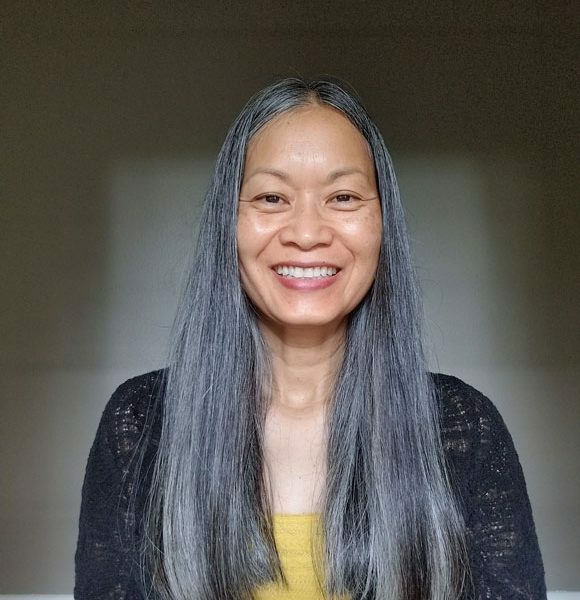 Between working long hours and attending to a toddler at the time, I didn’t have much time to fuss over my hair, so time passed by fairly quickly. I did feel alone in my journey. I didn’t have friends or family who were embracing their grays. And I didn’t have an Instagram account or belong to any Facebook groups. I didn’t know if other people were going through the same struggles. How long did it take and how do you feel about it? 3 years and 7 months. I’m probably one of the few ladies who decided to let it grow out for a long time. I’m so happy with my natural hair color now. For once I feel like it could breathe better and no longer be a prisoner stuck underneath all that dye. It’s natural from ROOTS to TIPS (except for the remaining 1-2 inches of dye). It has not been dye free with this much length since it was first dyed back in college. Finally, I got my 2 colors! Any products that you would recommend? I’m a wash-n-go girl so I use minimal products. I use sulfate-free products. Currently, I’m using Loreal, Shea Moisture, and Renpure shampoos and conditioners. I rotate between products and mix and match using them, sometimes. 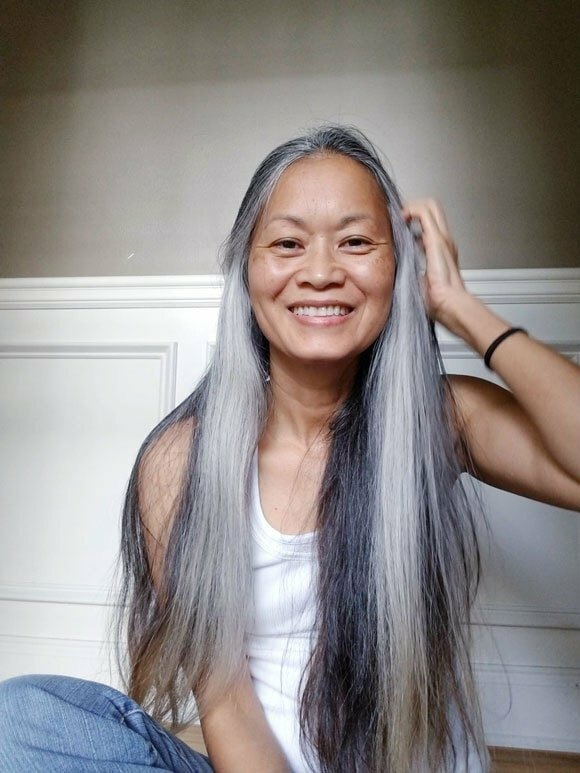 After about 2 years or so of growing out my hair, I started watching videos of other ladies growing out their grays like Susan Paget. 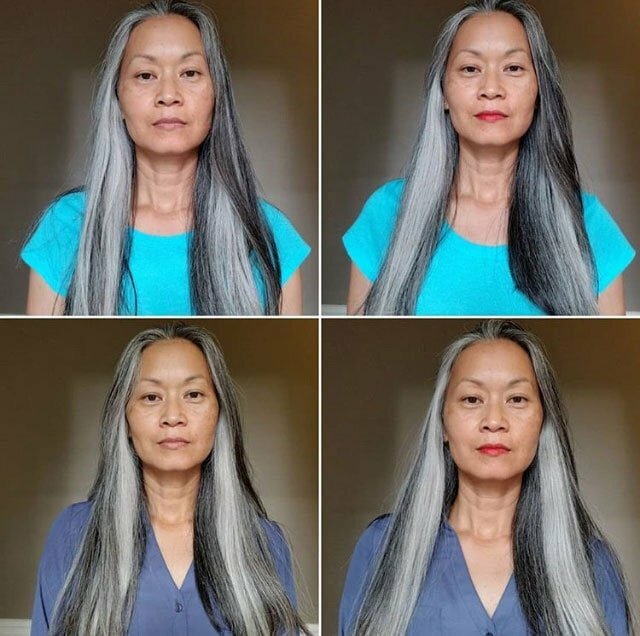 She had a whole series of videos revealing her grays at different stages of growth. I loved listening to her positive voice and feeling her positive energy. It was not until late 2016 that I discovered Grombre on Instagram. I saw photos and read stories of ladies who had similar struggles/frustrations. 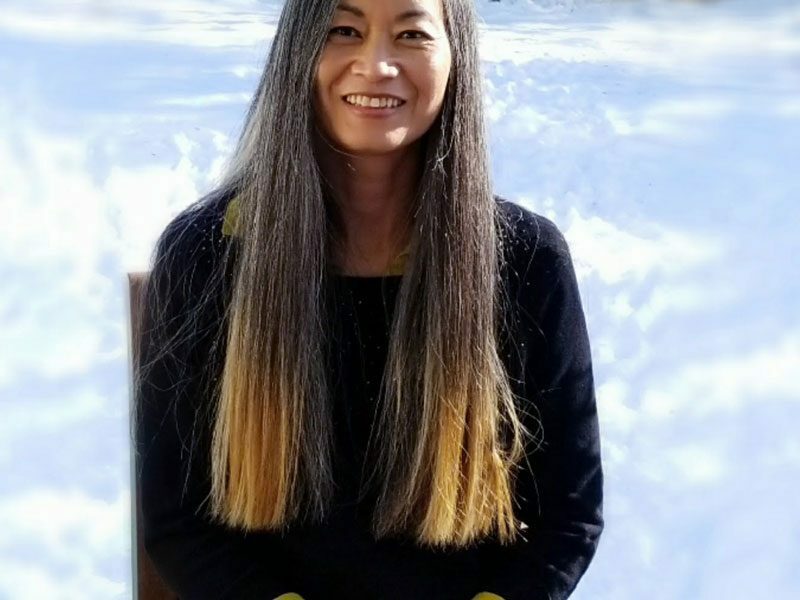 This community page allowed me to be connected to other ladies of different backgrounds and cultures across the United States and internationally. I didn’t feel alone in my journey after that. 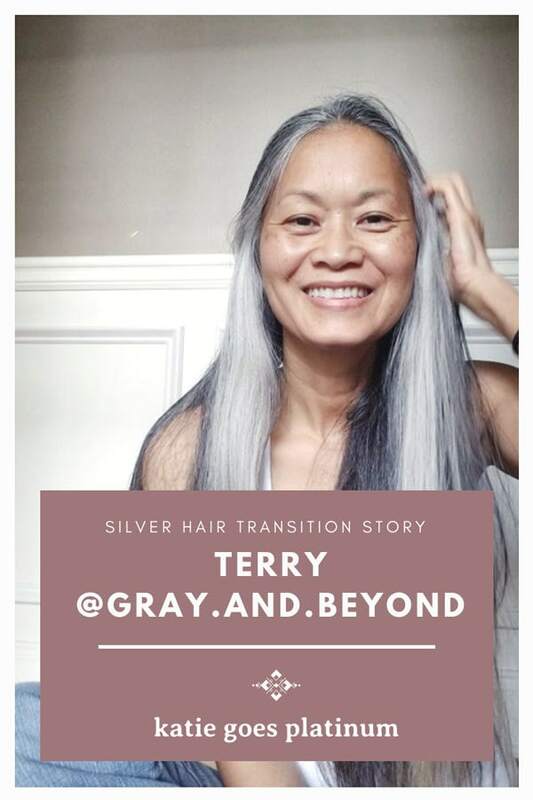 Did you find that going gray also prompted you to make other big changes in your life? I could have completed the transition at year 1 or year 2 but waited until another goal was accomplished first. I actually started both goals around the same time, but decided to bundle the two together after a year so I could be held accountable for both. That was why I waited longer to complete the transition. But it was so worth it! I had my eyes on the prize and was not tempted to cut my hair. 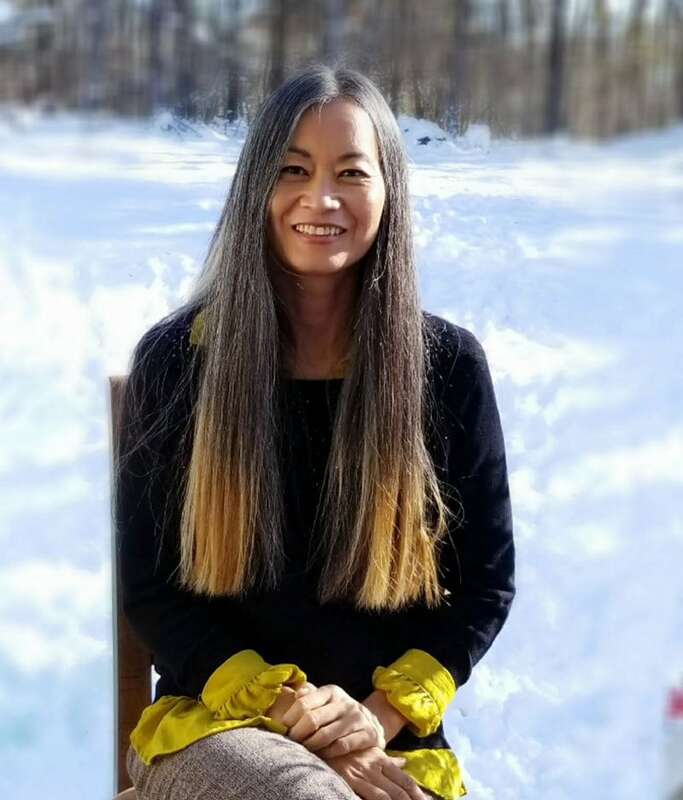 It was a win-win because I wanted longer hair, too. Final thoughts? 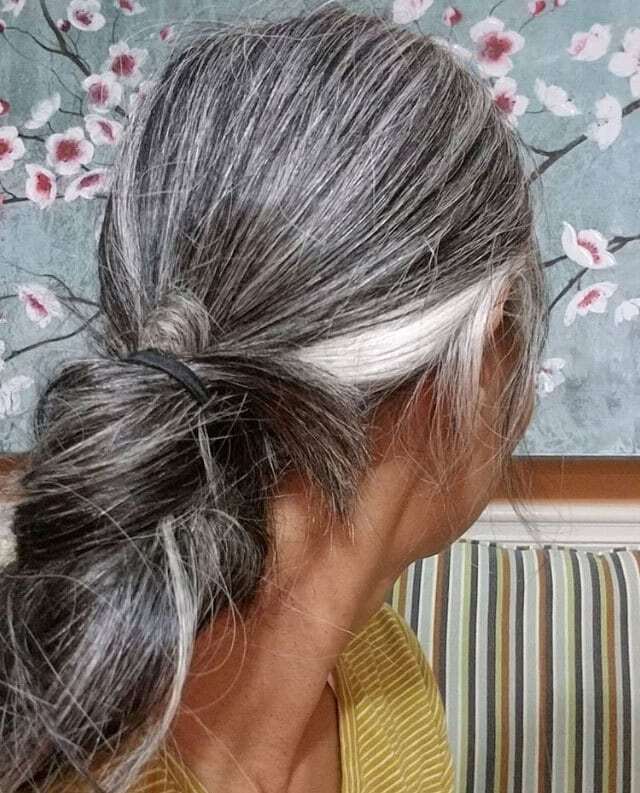 Any advice you would give to women who are thinking about going gray? 1 . With any new lifestyle change you make, it may take a few tries; it requires YOUR right time! 2. Not everyone will be supportive, so expect to hear the worst comment ever, and be ready with a great response and don’t let it affect you. 3. It should not be the focal point of your life…keep yourself busy with other projects/activities or bundle it with another goal like I did. All this will make your transition time go by quicker. 4. Take photos of different stages of growth, 3-month, 6-month, etc. And don’t forget to enjoy the journey. It really does go by fast. May 2018 - Before the Big Chop! Awesome photos! My husband retired and we moved back to his hometown in Japan about 9 years ago. I was 49. I had colored my hair for years before we moved. In Japan I found that I couldn’t use the hair dye because it contains bleach. A few times I ordered a home dye kit online but with the shipping a ” cheap” box of dye that would cost around $9.00 at Walmart- cost me over fifty! So, I decided that I’d stop. I’d go dye free. I wanted the process of getting rid of the dye to be fast so I had a really short pixie cut. I basically cut the dye off! I kept a shot pixie for years but….. honestly, the cost and trouble of trying to maintain it drove me nuts. Now, against everyone’s ” advice” – I’m growing out my hair. It’s a beautiful silver. I get so many compliments on the color. I never got compliments on my dyed color. 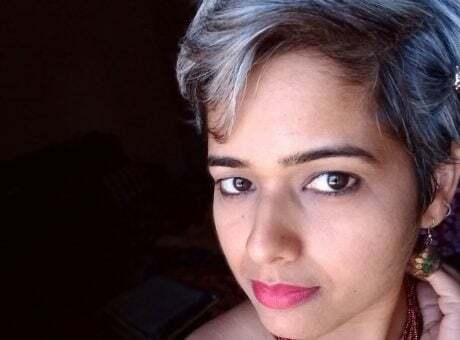 The issue seems to be that grey hair is ok if it’s ” short” . 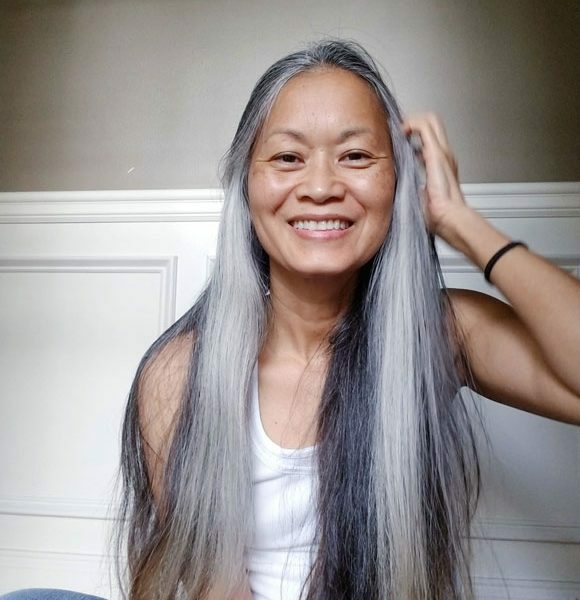 Well, I happen to think long grey hair is fabulous! So that’s what I’m doing. My hair is just about to my shoulders. It was boy short. I stopped cutting it last August- 6 months ago. Looking forward to having long grey hair! Thanks for writing this blog and speaking out! 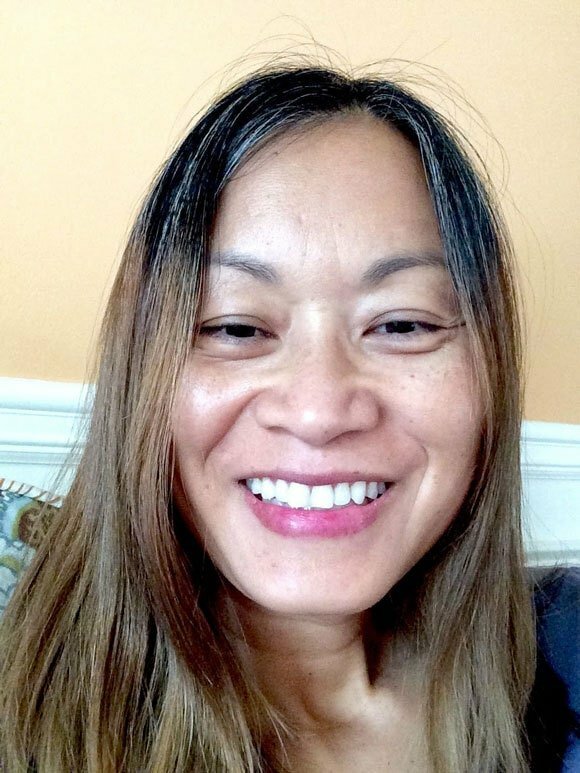 Hi, Connie! So glad you liked the post. Terry’s hair is AWESOME, and I bet yours look fabulous too! 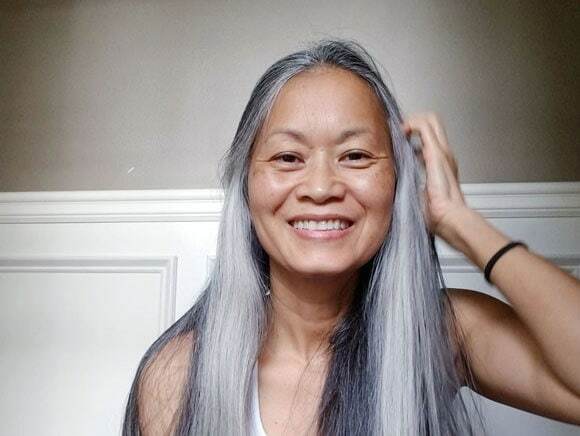 Personally, I prefer myself in long hair and I looooove long gray hair. 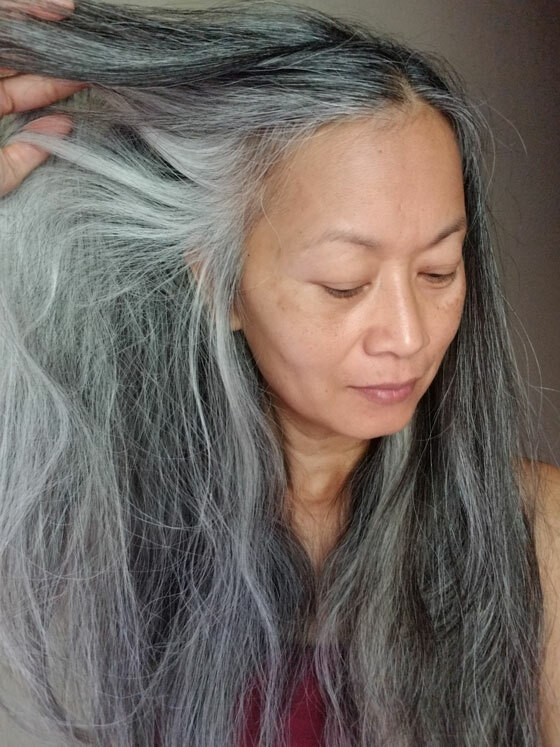 If you haven’t yet, check out this post all about long gray hair for some inspiration. Thanks! 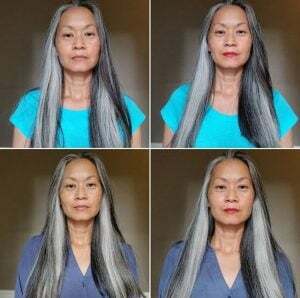 When I first started growing out my salt & pepper, I was looking on instagram and Pinterest for inspiration, and quickly discovered that I loved long grey hair, I find it so much softer and more feminine. Hair goals, big time!! Thanks! 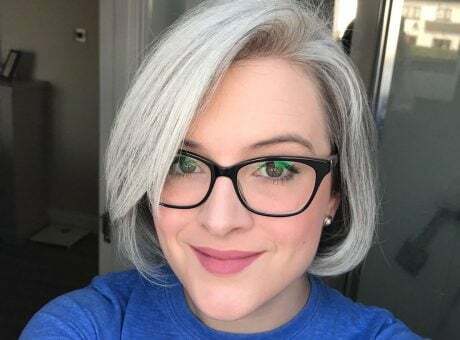 I think so many women look great in short gray hair, but I can’t pull off short hair myself – love the long gray locks! 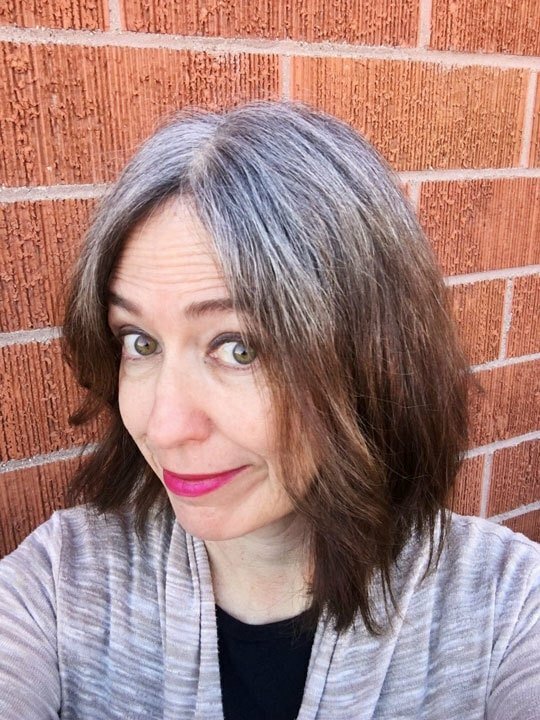 I’m getting my hair trimmed on Saturday and I’m going to insist on only taking off 1/2″ or 1″ as I want my hair to be long and gray next year.